H. Rick Bamman - hbamman@shawmedia.com Workers Glenn Greene (top) and John Sell of Brite Light Sign of Lake Zurich remove signage from the former Banana Republic on Monday, May 1, 2017 at the Huntley Outlet Center. All stores have closed at the Huntley Outlet Center about a year after the mall changed ownership. The Banana Republic Factory Store – the last retailer to shutter its doors – had its final day in business on Saturday, according to a sign posted on its door. H. Rick Bamman - hbamman@shawmedia.com Workers Glenn Green and John Sell of Brite Light Sign of Lake Zurich remove signage from the former Banana Republic on Monday, May 1, 2017 at the Huntley Outlet Center. All stores have closed at the Huntley Outlet Center about a year after the mall changed ownership. Banana Republic Factory Store – the last retailer to shutter its doors – had its final day in business on Saturday, according to a sign posted on its door. H. Rick Bamman - hbamman@shawmedia.com Tape begins to peal away on an awning Monday, May 1, 2017 in front of the former Ann Taylor store at the Huntley Outlet Center. All stores have closed at the Huntley Outlet Center about a year after the mall changed ownership. 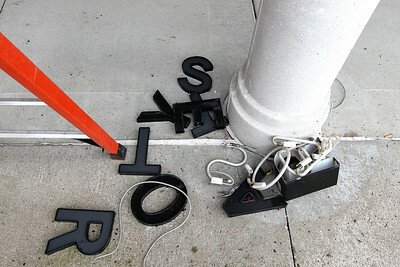 H. Rick Bamman - hbamman@shawmedia.com Lettering from the sign at the former Banana Republic was removed on Monday, May 1, 2017 by workers from Brite Light Sign of Lake Zurich. All stores have closed at the Huntley Outlet Center about a year after the mall changed ownership. H. Rick Bamman - hbamman@shawmedia.com The Huntley Outlet Center is seen on Monday, May 1, 2017. 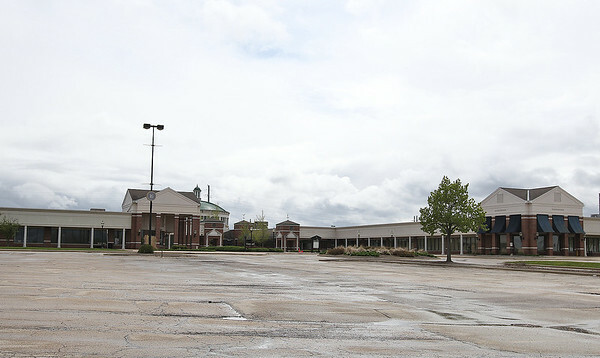 All stores have closed about a year after the mall changed ownership. Banana Republic Factory Store – the last retailer to shutter its doors – had its final day in business on Saturday, according to a sign posted on its door. 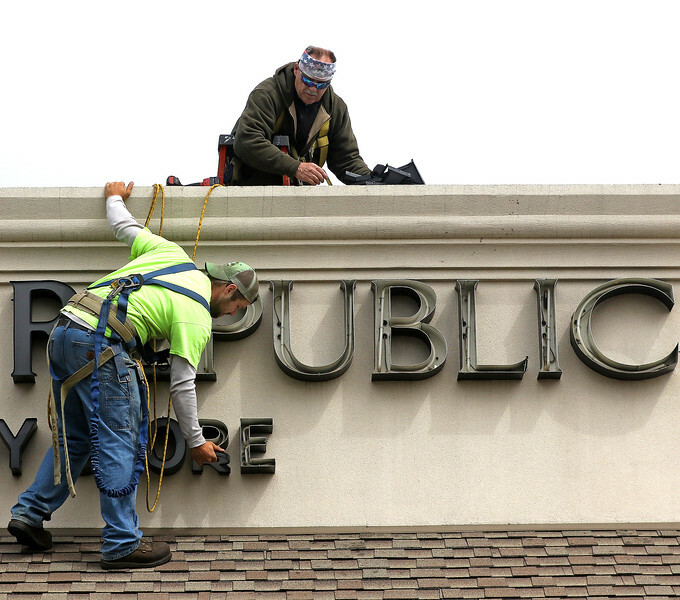 Workers Glenn Greene (top) and John Sell of Brite Light Sign of Lake Zurich remove signage from the former Banana Republic on Monday, May 1, 2017 at the Huntley Outlet Center. All stores have closed at the Huntley Outlet Center about a year after the mall changed ownership. The Banana Republic Factory Store – the last retailer to shutter its doors – had its final day in business on Saturday, according to a sign posted on its door.